So this flooring is nothing short of beautiful. Every time we have a guest or show people pictures, they love it. 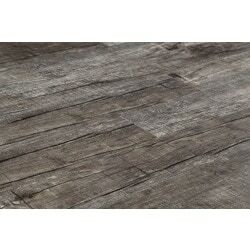 We chose it for its rustic/modern look and waterproof factor. We were trying to choose between this and wood-look tile. Took our sample to the big box home improvement store to compare and the sales guy came up and asked to look at it. He said it would hold up better for what we needed and be easier to keep looking clean (dogs). That was the icing on the cake when making the decision. I will tell you, if you aren't patient when installing, it can gap and not look as nice. You can't just throw it down. It takes time, but it's worth it. The color looks the same online as it does in person. One thing we didn't realize, until we read the manufacturers instructions, is that you do NOT use underlayment with this product. Save your money and only buy the flooring. We haven't had the product long enough to really know how well it will hold up, but so far it is definitely worth the price. A little disappointed. Love the look and ease of install. But a week after install seams started to separate in random areas. Some gaps are really wide now. Not like I can fix it now. woildnt order this again. My low quality laminate lasted 11 years without seam separation. 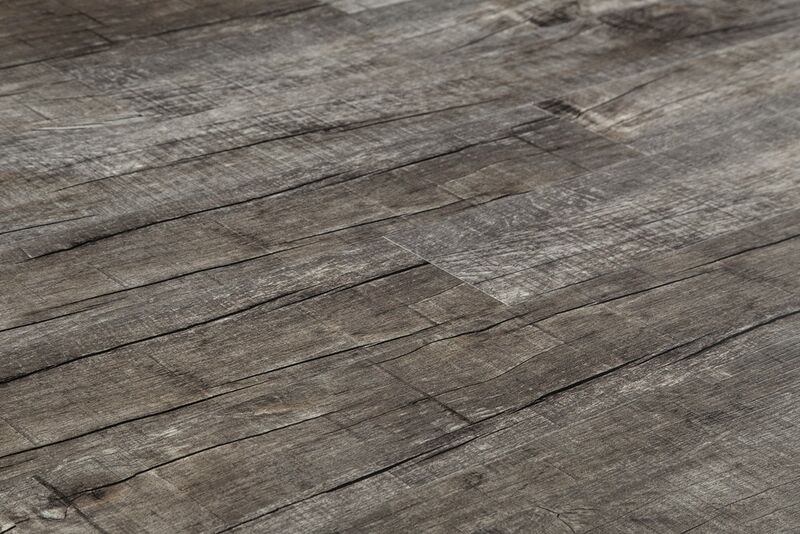 Definitely beautiful nice gray tones with a hint of brown, love the distressed look! Easy to install and with underlayment it almost feels like cork flooring.